Po.st (a social sharing app) has dug through their social data and found some fascinating facts that debunks several digital sharing ideas you may have assumed otherwise true. A common myth is that social media consumers click on links at an equal rate regardless of the type of URL shared. While the facts is, brands that use shortened URLs with a "Vanity domain" experience an average increased click volume of 25 percent compared to long original links or shortened links via a general URL shortening service. Another myth is Millennials and young people engage and share brands' content the most while the truth is users ages 55 - 64 engage with brands' content the most, regardless of using iOS, Android or desktop. Baby boomers are more likely to engage with 41 percent sharing (vs. 19 percent of millennials) regardless of gender. 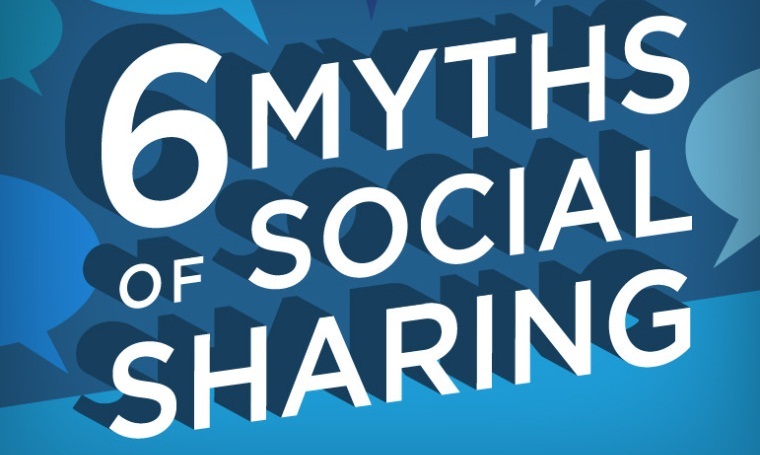 Take a look at this infographic delineating 6 surprising myths of social sharing.